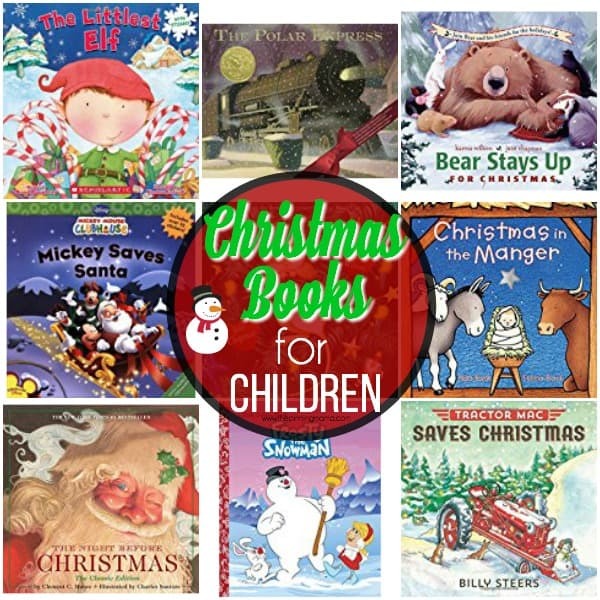 Find your big list of Children’s Christmas books here. I’ve compiled a big list of 33 books to take you all the way to Christmas. What better way to bring the family together each evening by snuggling up with a warm fire and a great book. One of our favorite traditions during Christmas is wrapping up children’s books, and each night the kids get to open one book. I collect them over the years and reuse them every holiday season. It’s something the kids get to look forward to every night. This is a great way to start off your holiday season and the help your kids practice their reading skills without even knowing it. You could start on December 1st or have your Elf bring the first book the day after Thanksgiving. I better start wrapping. I can’t wait for our book opening to start. I love reading these books with my kids. The weather has gotten a little chilly here so I’m even more excited for everything Christmas. If you have any more suggestions or favorite books please leave me a comment below. « Silhouette CAMEO Cyber Monday Deals 2017! Last Chance!